The Back to Natives Nursery at Santiago Park in Santa Ana grows locally native plants for sale to the public, contractors, and for habitat restoration. 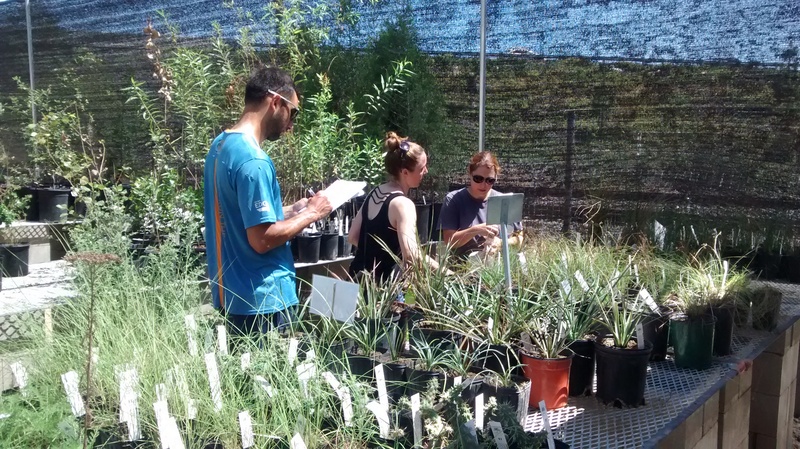 Proceeds from sales at our Nursery support our environmental education and habitat restoration programs. 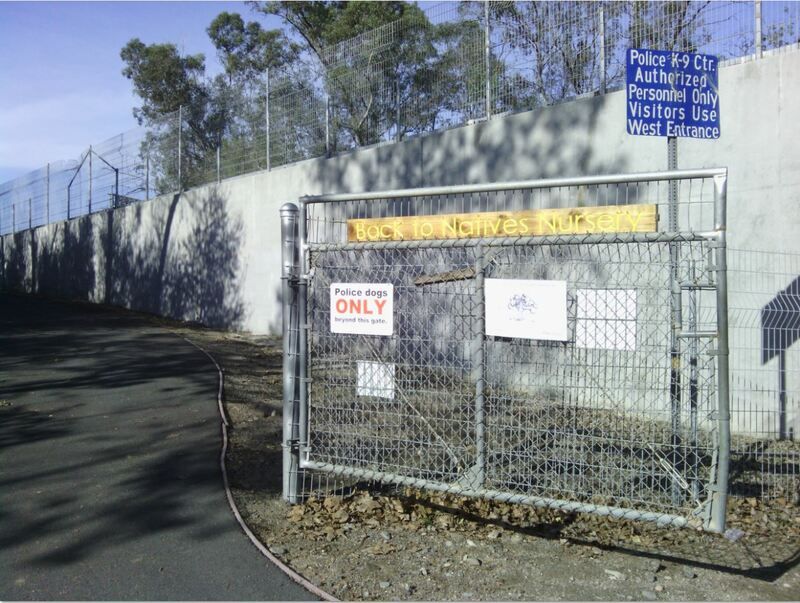 Please leave your dogs or other pets at home, we are connected to the Santa Ana Police Canine Training Facility, and we are growing plants for habitat restoration. Your dog could compromise Police training and our habitat restoration efforts. 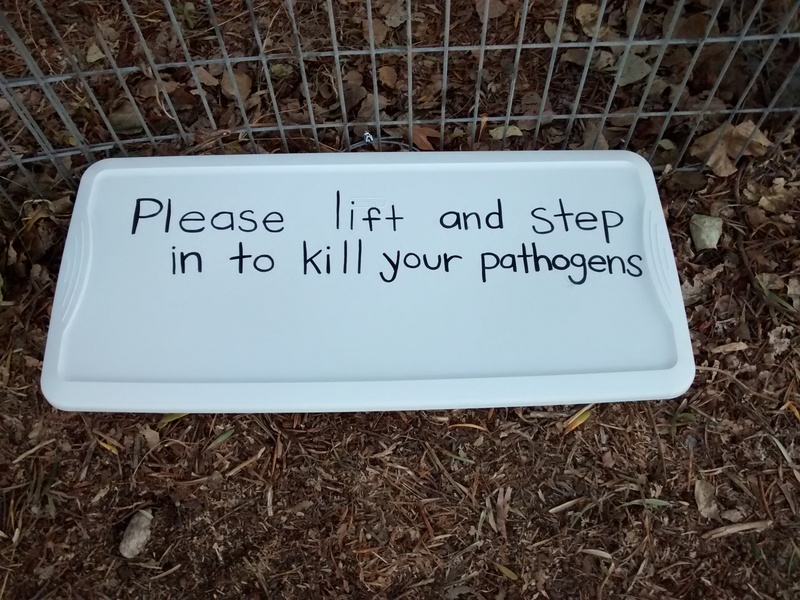 Wear sturdy shoes: we require a sanitizing shoe bath for all visitors who enter the premises (everyone must step into a tray filled with a shallow layer of sanitizing solution at the gate). Click HERE to learn more. 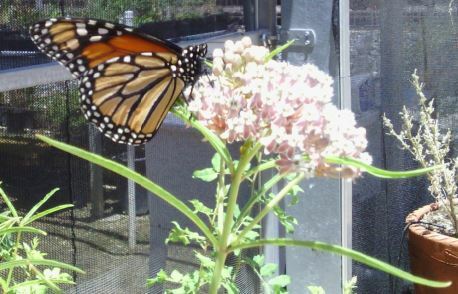 YES we are growing locally native milkweed! Southern California Native Milkweed does go dormant from around the end of November to around the end of February/March (as it should!). Fall Hours: Saturdays and Sundays from 10AM to 3PM! See you soon! Always a good idea to call 949-509-4787 before swinging by. Please scroll down for directions. If the gate is closed or locked, we may have run to the restroom at the Nature Center! Please be patient, we should be right back 😀 However we always suggest to call before making the trip out! The Back to Natives Nursery in Santiago Park features a 36’x36’ greenhouse and two large shade structures covering 4000 square feet of growing space where interns and volunteers learn to propagate plants for habitat restoration and to raise funds for environmental education programs. Directions: PLEASE obtain directions before getting in your car! If you use your GPS and go to this address, you WILL get lost! If the gate is closed or locked, we may have run to the restroom at the Nature Center! Please be patient, we should be right back 😀 However we always suggest to call before making the trip out! We do apologize, but the Office Phone had been lost for the past couple of weeks. We have it now and are returning calls! Parking: After you turn in at the Santiago Nature Reserve Sign, drive past the Nature Center and park. Carpooling is recommended. Parking is extremely limited. Here is a map. 1. Walk east down the road, away from the street and the Nature Center, past the pump station block house on right and reservoir control room on left. 2. Turn left at the gate just before the railroad bridge. If you make it to the Archery field you have gone too far! Up the path and into Native Plant Paradise! No donation is too small, and any support that you can provide will be greatly appreciated. 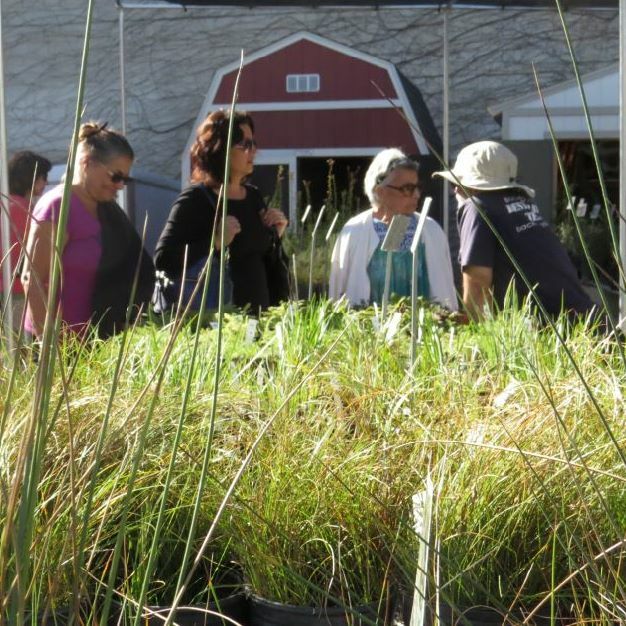 Donate to the Back to Natives’ Nursery at Santiago Park. BTN Greenhouse become a reality! BTN is a California Non-Profit Public Benefit Corporation and is a Non Profit Public Charity under section 501(c) 3 of the Internal Revenue Code. Contributions to BTN are deductible under section 170 of the IR Code as of February 13, 2007. We are qualified to receive tax deductible bequests, devises, transfers or gifts under section 2055, 2106 or 2522 of the IR Code.